The holidays are here and we're reminded to spend this season with our loved ones and to be filled with gratitude for what we have every day. Looking for something to do with your loved ones to relax in the midst of the chaos? This week we're featuring HallSpace, New Art Center and ArtSpace Maynard, three warm spaces hosting exciting exhibitions perfect for spending time with those most important to us during the holiday season. Painting is not a good idea is a statement that might take many by surprise. As creative individuals, whether you express yourself through music, art, writing or physical expressions, we are often encouraged to pursue what makes us feel most vibrant. HallSpace in Dorchester, Massachusetts invites viewers into their current exhibition Painting Is Not A Good Idea to challenge views about what art should be and how art should be expressed. Guest curator Jo Ann Rothschild selected work from abstract painters Emily Berger, David Fratkin, Colleen Randall and Elizabeth Yamin. Though each artist works abstractly, their works are vastly different. 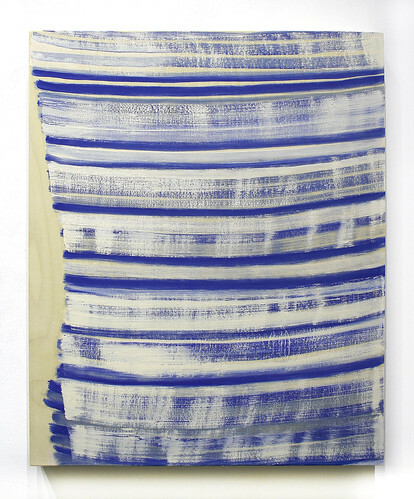 Emily Berger notes, "These paintings and drawings are based on a structure of repetitive and deliberate gesture that is intuitive but carefully considered." David Fratkin's pieces are comprised of patterns, whether organic or created, in order to give each piece depth and uniqueness. 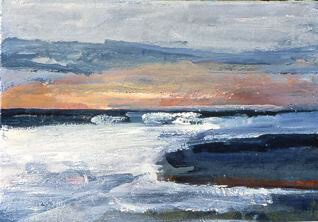 Fratkin uses a variety of media, primarily printmaking and painting. Colleen Randall is highly inspired by light and space within her work, using various shades and amounts of paint in order to create colorful, textured pieces. Elizabeth Yamin's work is comprised of shapes and rich, vibrant colors, inspired by her surroundings, including Manhattan. Yamin hopes to "convey some of the excitement, pleasure and confusion of working amid scenes of marvelous complexity" through her work. Painting Is Not A Good Idea is on view now through January 7 at HallSpace in Dorchester, Massachusetts. For gallery hours and information click here. The Brookline Arts Center invites artists residing in the United States to submit work that explores origin, displacement and the influence of the past on the future. How do we connect with where we come from if we are no longer there? How does our sense of place relate to our culture and identity? We are looking for work that raises questions and draws influence from heritage, culture and familial traditions, and explores how we come to terms with being up/ rooted. All media welcome! Submission deadline is January 27, 2017, 11:59 PM. 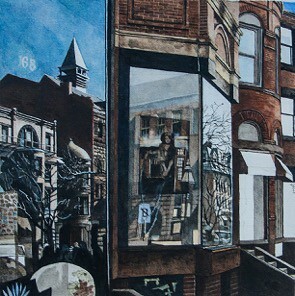 Sullivan, "Exeter Theater in Reflection"
This is our signature show with 55 artists, over 200 paintings and prints on both floors. Landscapes, still lifes, abstracts~ something for all. The New Art Center in Newtonville, Massachusetts presents LandForms, an exploration of the preservation and power of landscapes. Artists Katherine Downey Miller, Richard Farrell and Anna Kristina Goransson, the exhibition displays a variety of interpretations of landscapes through different visualizations, whether that be through impressionist or realist artworks, in a variety of media. Featuring oil paintings, 3-dimensional pieces, sculptures and paintings, LandForms Richard Farrell uses his knowledge of physics to inspire his work. After working with NASA, Farrell worked as a researcher and a potter. Finding inspiration from previous experiences, Farrell finds joy in the creative process and notes the importance of "letting go" during his own creative process, almost letting the work happen on its own. Anna Kristina Goransson has a background in furniture, fibers, felting and dying and uses this education and experience in her creative 3-dimensional pieces. Her piece Waves is composed of felted and dyed wool, seemingly ombre with tones ranging from light green to dark blue. The process, though labor intensive, gives Goransson the ability to experience her work from start to finish, which she finds exciting and inspiring. 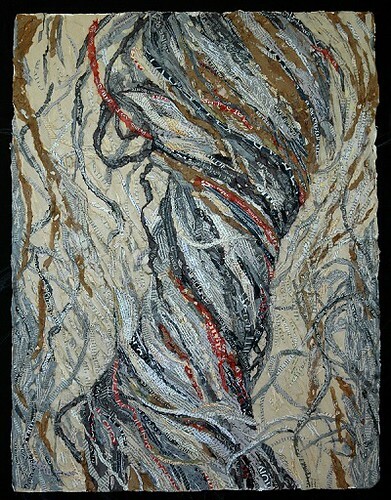 Katherine Downey Miller uses nature, imagery and emotion in order to create her pieces. With a background in drawing and painting, MillerMiller states, "My goal is to try to create paintings that capture visual and emotional moments." LandForms is on view at the New Art Center at the Holzwasser Gallery now through January 7. For more information on the artists and the exhibition, click here. It's important to recognize the differences in humanity and necessary to acknowledge how each life intertwines with another. The ArtSpace Gallery in Maynard, Massachusetts hosts The Fabric of Life: Themes from the Personal Well which examines the complexities of life and the importance of addressing both interpersonal and intrapersonal relationships within humanity. Artists Susan Denniston, Virginia Fresina, Lisa Daria Kennedy, Marie Peters and Stephanie Roberts-Camello express challenges and successes within their lives through their art. After finding their inner voice and inner fire, the artists have found a way to express themselves and process these experiences. 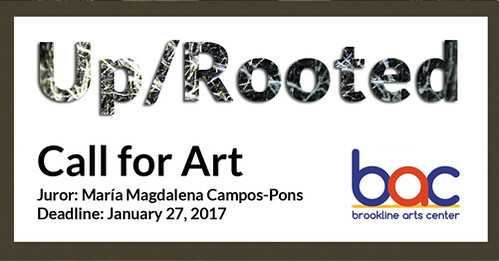 The artists work in a variety of mediums including oil, acrylic, printmaking, collages, encaustic wax and installations of varying size. Denniston, who works primarily with printmaking and paint, creates work that acknowledges how we, as humanity, deal with fragility and impermanence. Though this pertains to everything, Denniston hopes that her works will give the viewers a sense of permanence or a record of a specific moment or exploration. Lisa Daria Kennedy explores psychology, existence and transcendentalism. Kennedy, an extremely dedicated artist, commits herself to waking up at 5 a.m., beginning in 2009, in order to paint. This dedication has led to over 2,600 paintings of varying subjects. 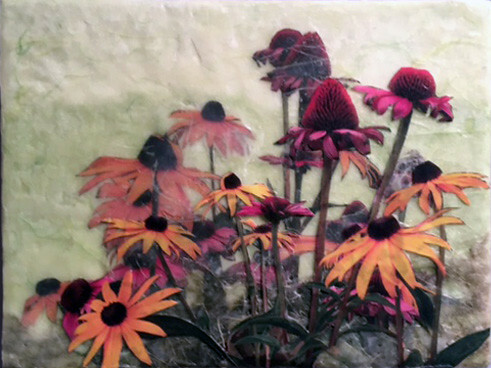 Virginia Fresina, Marie Peters and Stephanie Roberts-Camello express themselves through photography, encaustic relief and paintings and each artist brings something to intertwine the pieces of the exhibition together. The five artists featured maintain their own style while connecting the pieces of the exhibition together. The Fabric of Life: Themes from the Personal Well is on view now through January 13 at ArtSpace in Maynard, Massachusetts. For more information click here. Peabody Essex Museum presents Shoes: Pleasure and Pain. Explore the creativity of footwear from around the globe through more than 300 pairs of shoes, ranging from elaborate vintage designs to those by contemporary makers. Organized by the Victoria and Albert Museum, London. Now on view. 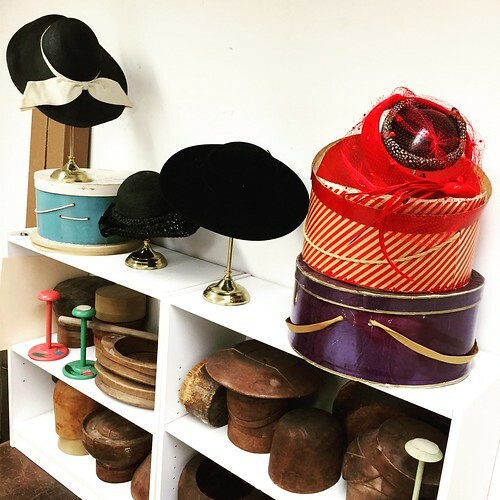 In this hands-on studio course, students learn design, construction and detailed finishing of hats, fascinators and headwear. Students will have a completed piece to take home by the end of the course.